Ephraim Lockwood moved to Northfield in 1856, shortly after its founding, and became a successful merchant. In 1872, he built a new store and Opera House. It was one of the early brick buildings on Division Street. It replaced a dilapidated wood-framed store that had been on the site. 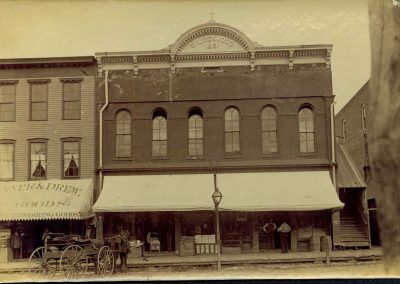 Lockwood operated a shoe business on the first floor and expanded it four years later to include millinery goods, hats, clothing, and accessories. On the second floor, Lockwood established a performance facility. It was not an elaborate hall, but for nearly thirty years it served its purpose. In fact, one of the most important events in Northfield history occurred in Lockwood’s hall: on October 1, 1874, a group of local businessmen met there to discuss establishing a Norwegian academy or normal school in Northfield. Harald Thorson led the effort. Others involved included Charles Wheaton, Jesse Ames, A. H. Bjoraker, and Hiram Scriver. Two weeks later, the group met again. Thorson pledged land worth $2,000 and the other men pledged an additional $5,400. The group met a third time, on November 6, to draw up the articles of incorporation for St. Olaf School. In 1889, the school changed its name to St. Olaf College. The Lockwood Opera House hosted many traveling shows over the years. In 1877, world-famous circus entertainers General Tom Thumb; his wife, Lavinia Warren; Lavinia’s sister, Minnie Warren; and fellow entertainer Commodore Nutt appeared there. In the early 1880s, Lockwood renovated his hall and installed permanent seating and a stage. He added a sheet metal cornice, too, dated 1881, to improve the majesty of the opera house. By 1899, however, local people were displeased with the facilities, and traveling theater troupes became more reluctant to play there. As a result, the much grander Ware Auditorium was constructed. 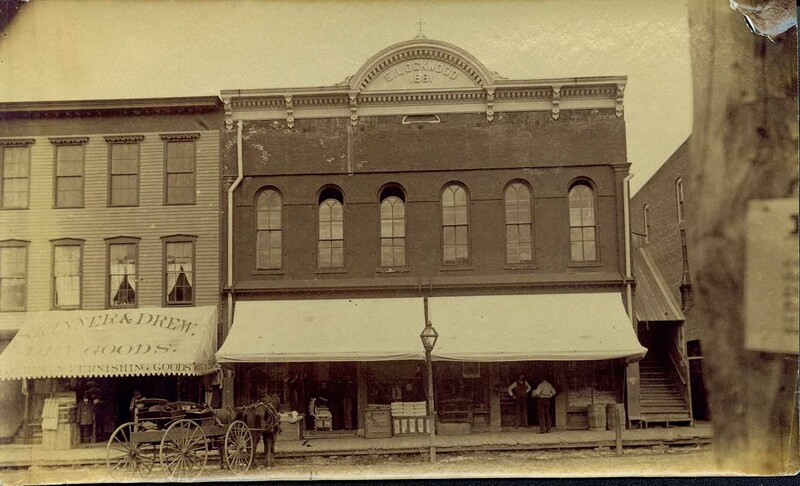 The Lockwood Opera House in about 1885.